Rowing Machine or Treadmill – Which is the Right Choice? Should You Buy a Rowing Machine or Treadmill? 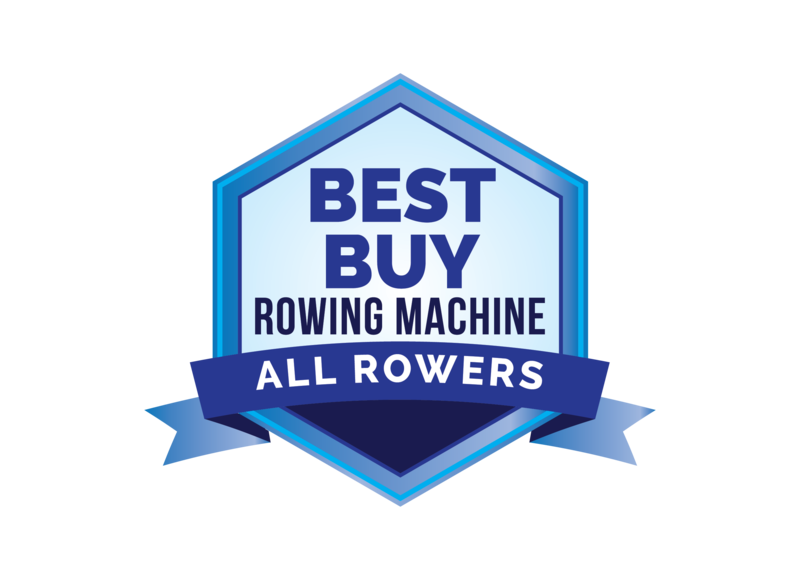 Deciding whether to buy a rowing machine or treadmill should be based on your particular fitness needs, what best fits your lifestyle, and your budget. 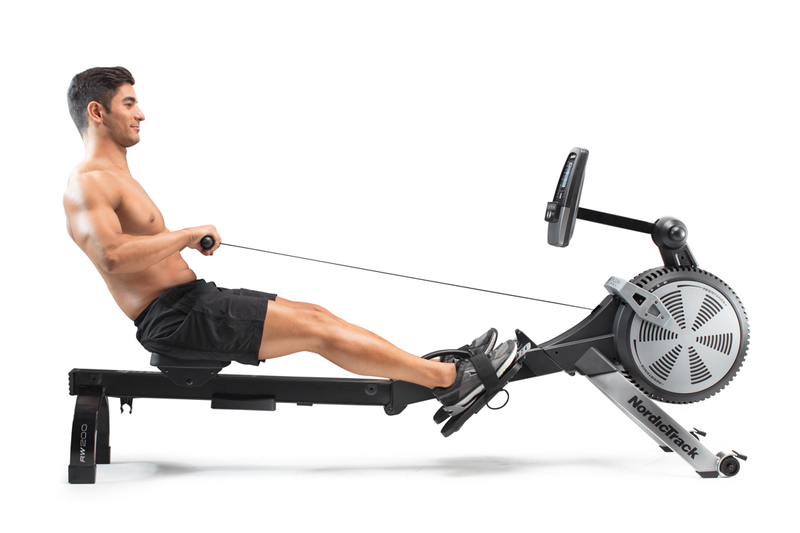 While there are inexpensive and pricey versions of both machines, indoor rowers do tend to be less expensive than most treadmills, particularly if you purchase a hydraulic rower. Oddly, there is some disagreement over whether the rowing machine or treadmill is most efficient at helping individuals shed unwanted pounds. At first glance, the rowing machine would be the winner because it works more of the major muscle groups, and the more muscles that are being used, the more calories you burn. Some people, however, find that they can’t sustain the prolonged resistance required to use an indoor rower for very long (perhaps 20 minutes) while they can run or jog on a treadmill for an hour with no problem. In this case, you’re burning more fat because you’re sustaining your efforts over time. Try out both a rowing machine and a treadmill if you can at your local gym and see how long you can comfortably use each one. In the debate of rowing machine or treadmill in terms of ease of use, the treadmill wins. 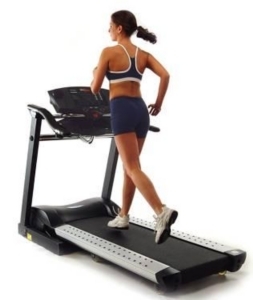 You simply choose how fast you want to walk, run or jog, step on the treadmill deck and start moving. Rowing machines, on the other hand, can be difficult to get the hang of, particularly if you haven’t tried rowing before. Some people use an indoor rower for weeks before discovering that they’ve been using improper form, and it takes a long time to relearn correct technique. Rowing isn’t instinctive, while running is something almost anyone can do. Using a rowing machine definitely wins in the “toning” challenge. 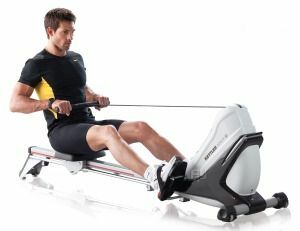 While you do get an excellent aerobic workout from both machines, a rower uses resistance and a treadmill does not. Resistance is instrumental in toning and sculpting muscles, so if you not only want to lose weight, but also tighten up those flabby areas, an indoor rower is the right choice. Of course, if you’re also doing resistance work on other exercise equipment or with free weights, you don’t necessarily have to choose between a rowing machine or treadmill, although you’ll get more resistance if you use both weights and an indoor rower. You’ll also discover that rowing machines work more areas of your body, which means you’re toning every region of your body. While you can get a good lower body workout from both indoor rowers and treadmills, a rowing machine also works the abdominal muscles and upper body muscles, something you won’t get by walking or running on a treadmill. Both machines can be a successful part of your cross training routine, so you don’t have to choose between a rowing machine or treadmill if you’re using them to augment other types of exercise that will ensure you’re using all of the muscle groups and doing interval training. If this is the only exercise you’ll be doing, a rowing machine edges out a treadmill because it’s a more complete workout.